This brooding movie from the late 70’s is notorious for possibly being the very first backwoods slasher. 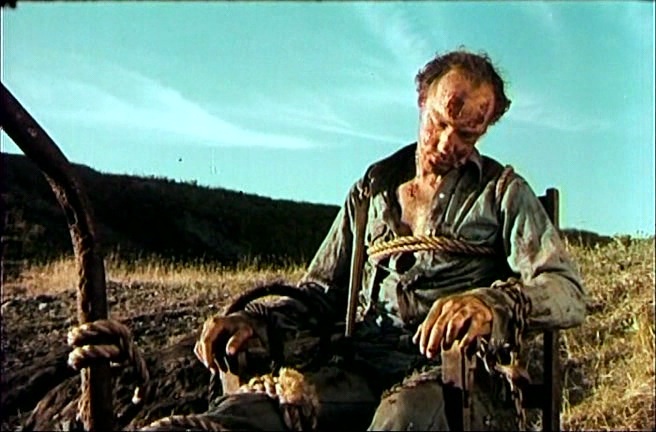 Sure, there had been other premises of killers in woods before – classic giallos such as Twitch Of The Dead Nerve and Torso come to mind – but Rituals can be credited for being the first one solely relying on slasher mechanics (yes, there are academic studies on the subject matter) as well as taking place all the time in the woods. Indeed, the enduring legacy of this movie can be traced up to recent times with examples such as The Blair Witch Project and Wrong Turn, going through the whole summer camp gorefests of the 80’s and cult favorite Just Before Dawn. 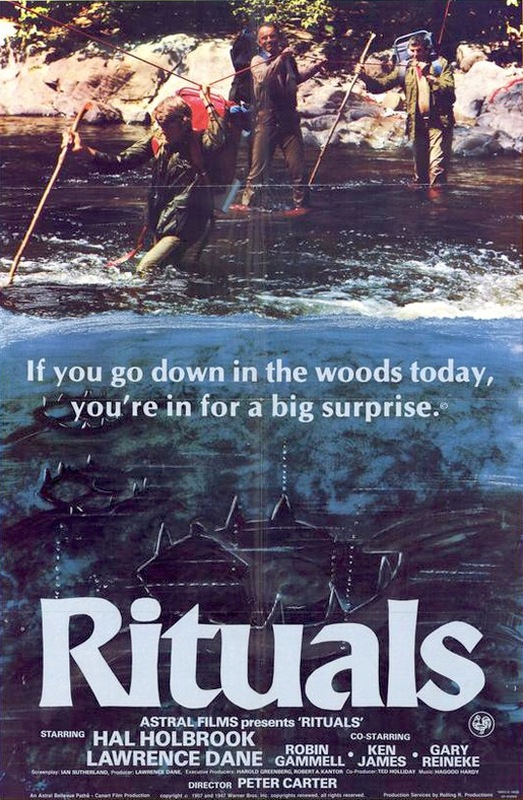 There’s no way anyone could imply that all of those filmmakers ever saw Rituals, but it’s definitely safe to say that Rituals did it first. 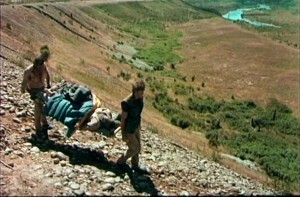 Truth to be told, a lot is owed to Deliverance in turn, another timeless classic of its own right. 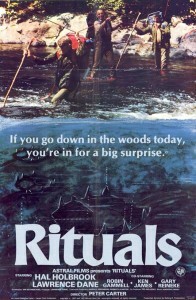 But Deliverance had other concerns in mind and many would argue it was more action than horror – on the contrary, Rituals is 100% pure unadulterated horror with shades of thriller… and I will add that the acting was far more believable and genuine than in Deliverance. Why the inevitable comparison, you may ask? As you may recall, the plot in Deliverance followed the unfortunate luck of four friends that go deep into the backwoods of America and piss-off some unfriendly rednecks in the process – what follows next are some of the most tense moments ever committed to celluloid. Rituals is no less innocent, however. 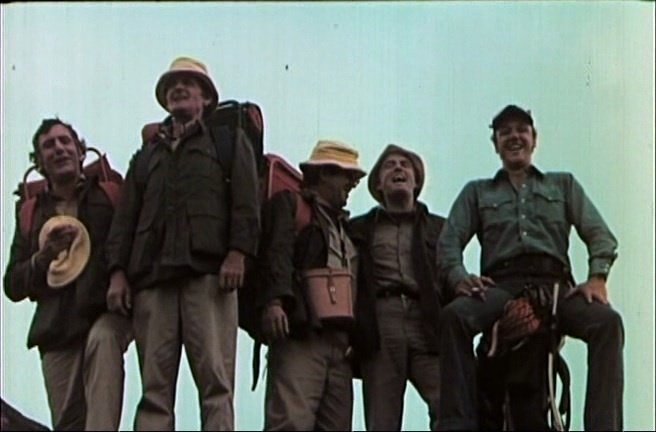 This time though, five doctors go on a hunting trip into the desolate Canadian backwoods (oops, I can almost feel the Canadians and Americans reading this cracking their knuckles) and chaos ensues when an unseen stalker first steals their boots, then prepares one deadly trap after another for them. And you’ve no idea why until the climactic finale. Everything works just perfectly and it’s a given fact that Rituals will keep you on the edge of your seat. Just don’t waste your time comparing it to Deliverance like many others did and enjoy its own merits: this is a blueprint for the slasher-in-backwoods subgenre, dark and brutal, including the typical killer’s POV shots that were oh-so-hailed in Halloween – one full year before it. It’s truly a must-see for horror buffs. Rituals should be available soon from Code Red in what may be one of the most important horror DVD releases of the year. The movie was always unfortunately marred with dark visuals and muffled audio, so the expectations for a proper DVD release are soaring the sky. We’re truly keeping our fingers crossed on this one.